Last weekend, Joon and I raised our glasses under the aegis of a different cult: that sloshing, swirling society of connoisseurs known as wine tasters. It was a fitting signpost to our most recent intersection of lifestyles: He, the Bar bound poet and romantic, and I, the pop culture obsessed musician and blogger, would soon be ending our purgatorial sentences in Southern California as we once again made our moves on the world at large. We toasted our future discoveries and disillusionment in advance with a few glasses of joy at Heritage Wine Company in Pasadena. 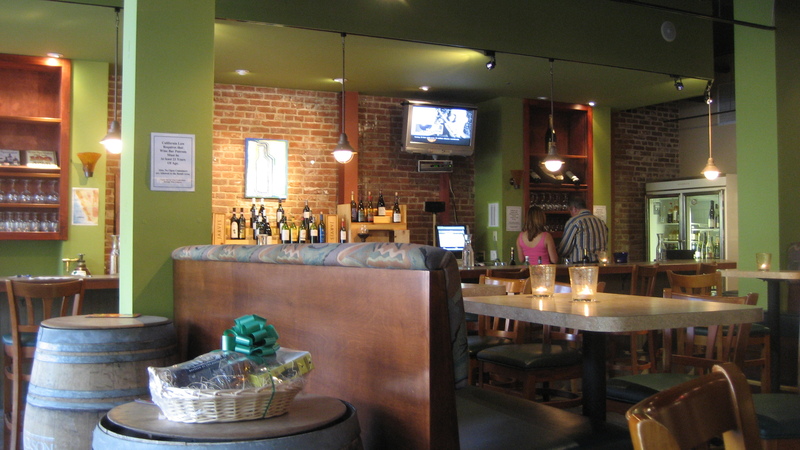 To the unvinicultured, Heritage is a near-perfect self parody of a wine bar. Refined, semi-modern furniture bearing off-Ikea candles welcomes visitors to the club. Soft jazz hums along in the background. A young professional couple too embarrassing to look at sits before a flight of red wines, the woman blithely fiddling with her cellphone while the man slings an arm over his bench and takes a lifeless sip of his next sample. A beautiful young lady offers us a menu, indulging us with her personal favorites, knowing that as long as she smiles and laughs we will gladly do anything she suggests. In the background, the owner of the business shuffles bottles, waiting for the challenger of the day to seat himself self-assuredly at the bar for an hour of shop talk. As the title of this blog attests, Joon’s own summation of Heritage Wine Company would be quite different. For example, he might have something insightful to say about the three bottles of wine we opened with our friends. As I recall, the 2004 Omaka Springs Falveys Pinot Noir was a crisp, tart affair, light bodied and nimbly cherried. 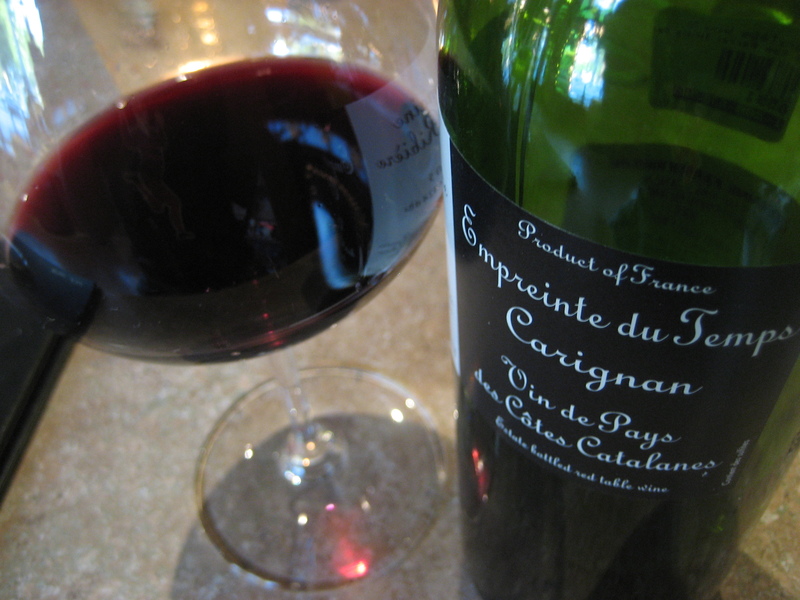 The 2005 Domaine Ferrer Ribiere Empreinte du Temps Carignan Vin de Pays des Cotes Catalanes (I can’t decide whether or not my Russian phoenetics instructor would be proud or ashamed that I managed to remember that name) was a heavier duty glass: deep, dry and deliciously violet. 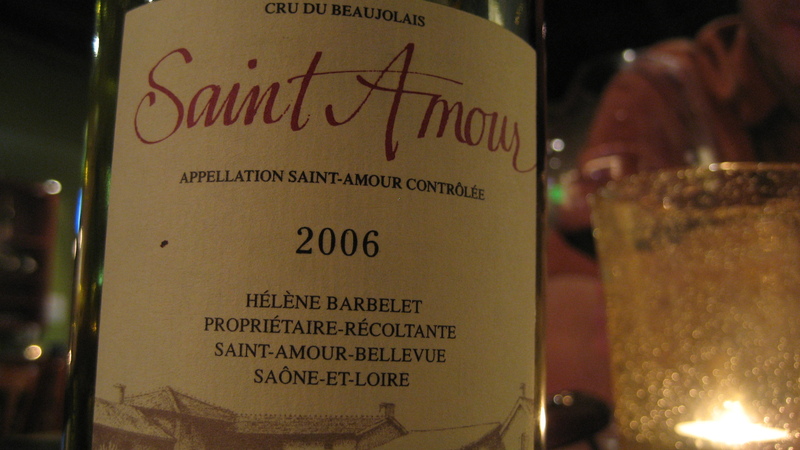 Joon’s final selection, the 2006 Saint Amour Cru Beaujolais, came chilled. By that point, my insensitive and intoxicated wine palette could sense only the arrival of more sweet alcohol. The wines were fine, but like the names of the songs we sang in Joon’s room five years prior, these titles, too, were meant to be forgotten. Once again, we closed the evening with the assistance of a large burrito. As I engulfed every delicious morsel, I wondered for a moment if I would ever set foot in a wine bar again. As long as I could call Joon a friend, I knew the answer would probably be yes. James Boo is a food blogger and all-purpose geek. You can read his work at theeatenpath.com and indefinite-articles.com. Alex and I have not had a good Pinot Noir since. Are we not spending enough money? That post was surprisingly clean, unsarcastic and touching. I was expecting dirty, sarcastic and touching. The sommeliers quoted in the article say to stay away from cheap California pinot noirs: pinot noirs are notoriously hard to grow, and creating a truly great pinot does take a lot of time and resources. This translates into higher prices. They recommend trying more obscure regions and varietals. For instance, malbecs from Argentina are a great bargain. You can also find a lot of great French wines from areas like the Languedoc and Cotes du Rhone. Way to go Joon! Love the shout out. But yes, it is a good, helpful & insightful article. Speaking of which, this post by James is quite brilliant. What a great writer. I am envious! As to the 3 wines, I may have started with the Beaujolais, and finished with the Carignan. But the night sounds like a fun one. Nice work J & J ! Thanks for the compliments. James is a good writer: his site is an inspiration. I would have started with the beaujolais except we didn’t really quite plan to finish with three bottles. At first we were going to do the pinot and carignan only–but, heck, it was a Sunday evening and we had nothing else to do: why not drink another bottle? We couldn’t stomach a fuller wine at that point, hence the beaujolais! One Beaujolais tip; similar to many white wines, it is made to be drunk young. I’m happy to hear you guys enjoyed the one you had, but a 2007 (assuming they had one) may have been even better. An interesting (and fun) little tasting could be comparing the same beaujolais from different vintages.